We are your danish business networking in China - join us today! DCCC was established initially as an informal gathering of business people in 1995. This became the Danish Business Association at the end of 1996 and in 1999 the process of becoming DCCC was initiated. In October of 2000, DCCC was formally approved. 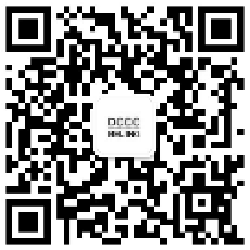 This website, hosted by the DCCC Beijing chapter, is intended as a news and reference point for members of DCCC across China, Danish companies wishing to invest or establish a presence in China and for Chinese Business partners to find information about Denmark. Here you will be able to find news about DCCC events and from member companies. Please do not hesitate to contact us with your queries and with comments about this website. Beijing Highway Telecommunication Technology Co. Ltd.
Beijing Micro Matic Machinery Co Ltd.
CCC / China Ceramic Ltd.
Danisa - Danish Speciality Foods (Shandong) Co., Ltd.
Jupiter Bach Composites (Dezhou) Co., Ltd.
LEGO Toy (Shanghai) Company Ltd.